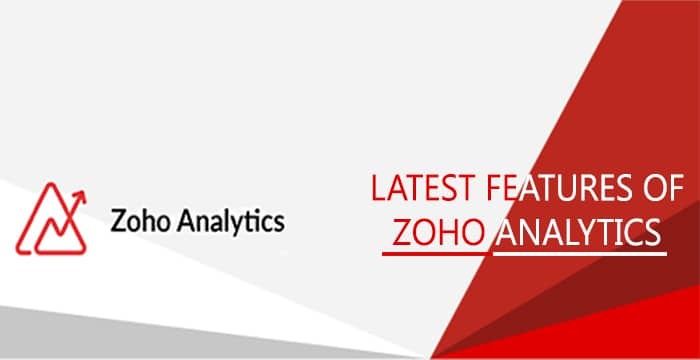 Zoho Analytics introduced new features of IP Restriction and Access Restriction on 20 March, 2019. The new features provide a set of security options that enable you to control and manage access to your account. This includes setting up IP restrictions as well as controlling the various sharing & collaboration options being made available. You can control access to data/views in your organization by applying appropriate security restrictions. Zoho Analytics (previously, Zoho Reports) is a self-service BI and data analytics software that lets you create visually appealing data visualizations and insightful dashboards in minutes. It is a cloud-based reporting and business intelligence solution that offers several applications within its suite, including dashboards, analysis, reporting, data warehousing and more. This solution is used in multiple departments, including sales, marketing, HR, finance and operations, within small and midsize organizations. The system includes various reports to provide real-time visibility into various aspects of the business. Zoho Analytics provides a set of security options that enable you to control and manage access to data in your account. IP restrictions and Access Restrictions allows you to do it. Access Restriction (The Access Restriction allows you to control various sharing and publishing options available in your Zoho Analytics account). It allows you to set IP ranges in Allowed IP ranges field, which will restrict access to allowed IP ranges only in your organization account. You can specify up to 30 IP ranges to allow access from. This allows you to ban or block any undesirable sites and hosts from entering the server or node and causing harm to the network or individual computers. IP restrictions can be used by companies to prevent intrusion, allowing remote access as well as limit the kinds of websites that can be accessed by employees in order to keep productivity high. It helps to protect against unauthorized access of confidential records and data and for enforcing censorship. Access restrictions allow you to restrict the sharing of data/views in Zoho Analytics only to users from the trusted domains. You can specify up to 100 domains. It helps to avoid copying and adulteration of data by sharing it in a trusted circle. It will help businesses to manage the data they are making available on a public platform. It restricts the generation of Private Links (URLs to views accessible without login) for views & slideshows. It allows you to restrict accessing Private links (Without Login) only to users from the specified trusted domain so that only authorised people can have access to the published data. It allows you to restrict publishing views. It restricts accessing public views only to users from the specified trusted domain to restrict who can view the published data. This allows you to specify whether views can be emailed or not. It helps to restrict the views to be emailed only to users from the specified trusted domain to avoid the data from spreading to unwanted sites. Zoho Analytics helps you out to secure your business by giving options to limit the usage and sharing of your data only to a trusted circle. So, secure your business today with the help of a Zoho Consultant.